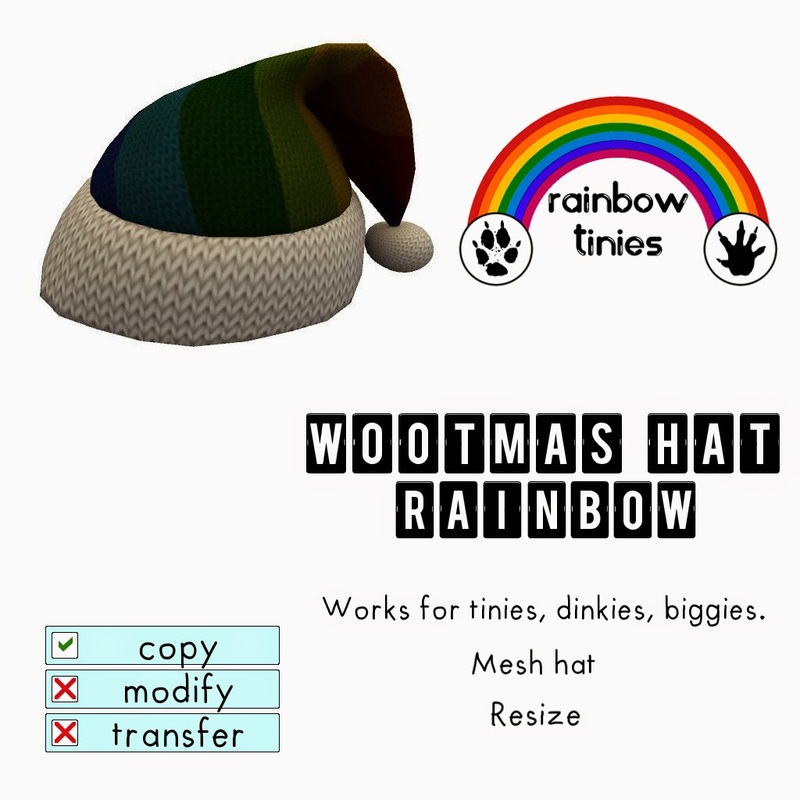 Rainbow Tinies: Rainbow Tinies Gift: Wootmas hat, Rainbow! Rainbow Tinies have a new gift at the Rainbow Lounge! Get it for free, the box is on a table by the door until end of this year, and then will be on the wall with the other freebies.